First Holy Communion Necklace with Engraved Tag and Open Cross Charm. Choose from various chain sizes for girls and ladies. The beautiful open cross charm has a tiny sparkling Swarovski, Aurora Borealis crystal at its centre. Presented in a padded and hinged gift box with pink bow, along with the little gift card as shown. 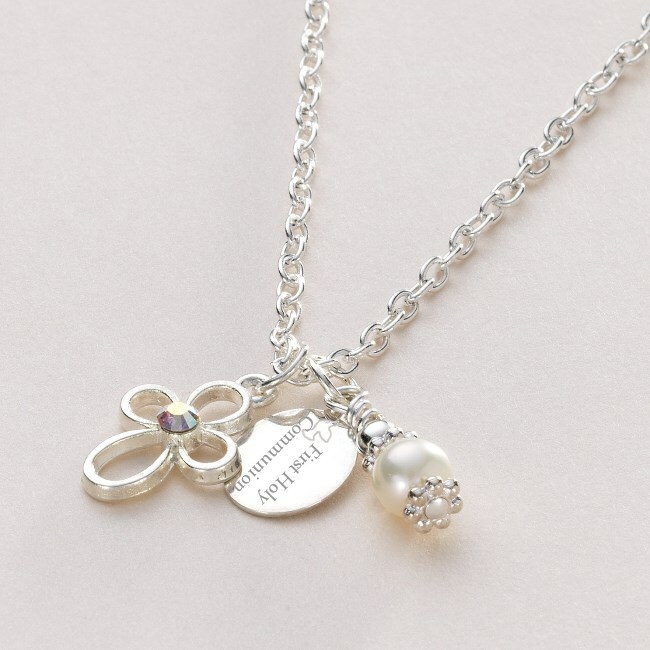 The sterling silver tag has the words "First Holy Communion" Engraved on the front alongside a little dove symbol. Personalise this item for free with your own choice of engraving on the back on the tag! We can fit up to 18 characters (including spaces). 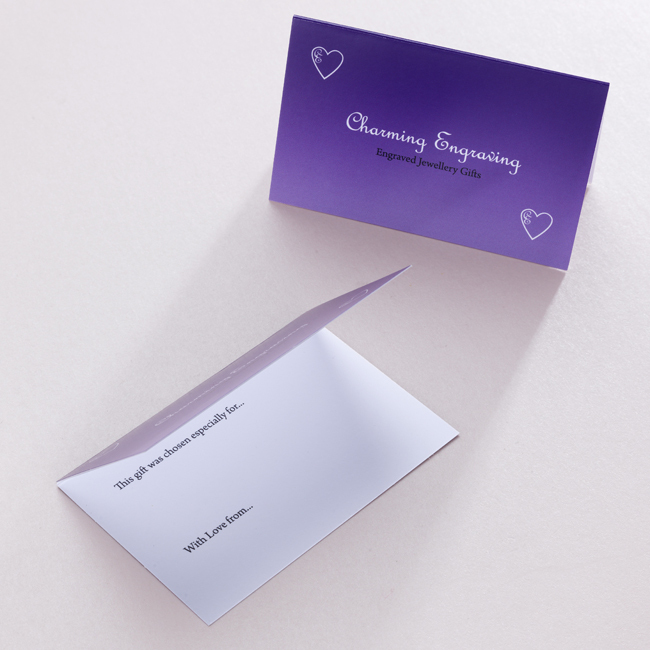 Perfect to personalise with special dates, names, love from... or messages to make an ideal gift or a something special for yourself. Part of our range of Religious Jewellery with Engraving. Metal Parts: Sterling silver tag, silver plated cross, strong silver plated necklace chain.